We have all heard the phrase “skipping leg day” but how beneficial is it to incorporate leg exercises regularly in to a training programme? Well more beneficial than you might think… By targeting the individual muscle groups in your legs you are targeting your biggest muscles in your body and by doing this you will burn more calories and therefore more fat! 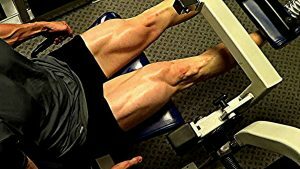 If you are somebody looking to lose body fat but do not want to spend hours in the gym then targeting big muscle groups such as your quadriceps (quads) is an effective use of your exercise time. Squats are a compound movement which basically means you are using more than one joint in your body and therefore use more than one muscle group. In this instance you are using your hip and knee joints to perform the move so the muscles around these joints will all be engaged for the most part. Squats are a great all round exercise targeting muscles such as quads, glutes, hamstrings and core making this exercise a must when training legs or in fact a great exercise to start off your session whatever muscle group you are training. Lunges are another great exercise to engage your quads and these can be done with or without dumbbells or a barbell, therefore can be performed pretty much anywhere. Due to this exercise working big muscle groups, it is a great fat burner. Start by standing with your feet shoulder width apart, if you are performing these without weights then cross your hands across your chest. Take one big stride forward keeping your back leg on your toes slowly dropping down so your back knee touches the floor, drive backwards through your front leg back to start position, repeat with other leg. 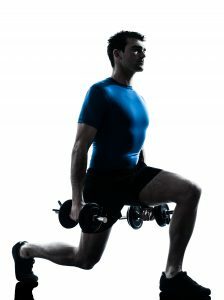 When performing with dumbbells hold each dumbbell down at your side through the duration of the movement. Try to perform 3 sets of 8 reps on each leg. Goblet squats are a great variation of a normal squat needing less equipment. Again this exercise targets big muscle groups such as your quads, glutes and abs, making it a perfect exercise to perform for gaining strength and to burn calories. 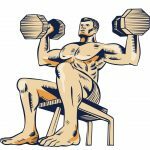 Place your feet just beyond shoulder width apart, holding either a dumbbell or kettle bell in to your chest, (If using a dumbbell hold it at the head and if using a kettle bell hold it at its body and not the handle). Perform the movement by keeping your back straight dropping down to just below parallel breaking from the hips bringing your bum back and then down, keeping your weight through your heels. Powerfully drive back up to standing position, squeezing through your quads and glutes at the peak. Try and complete 2 sets of 12-15 reps. The leg press should be a regular exercise you should adopt within any training programme. Due to its ability to target quads along with other major muscle groups in the lower body it builds strength and muscle size of all major leg muscles. Back and shoulders need to be flat against the back pad. Feet placed flat on the plate, with your toes pointing slightly outwards. Drive your legs against the plate until your legs are fully extended but not locked. Control the downward part of the movement using the full range of motion or down as much as comfortably possible. Try to complete 5 sets of 10 reps.